Your own secret garden and private courtyard awaits. This special 1930 Bungalow is often described as ideal by those in the neighborhood. This home is walking distance to town, but far enough off Main and Mill Streets that the only sounds you often hear are birds and breezes. New paint, updated kitchen in 2012, fruit trees, specimen plantings and stonework were professionally landscape designed and a Pest Clearance too. Rare 3 Carriage Garage configuration below the home for parking, a workshop, added storage and more. 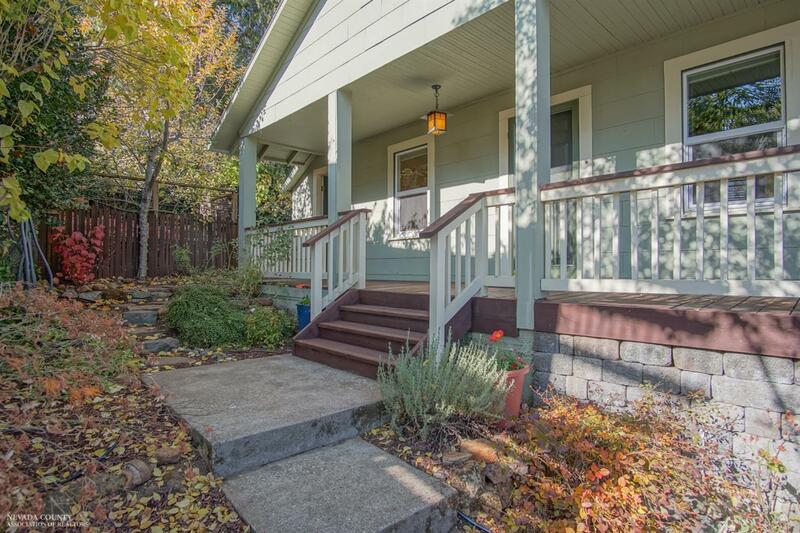 This home embodies a lovely connection between Grass Valley's history and all the modern conveniences of today, including; City Water, Natural Gas, City Sewer and Comcast High Speed Internet. Are you looking for a special modest sized 2 bedroom lovingly cared for home, that is peaceful and private and that is an easy walk to town? Your search is over! Please come take a look, you will be so glad you did!